If we’ve heard this once, we’ve heard it a million times. This has become an urban legend — spread by gutter guard makers over the years — in an attempt to sway consumer sentiment their way. Installing gutter guards under shingles WILL void your shingle warranty! 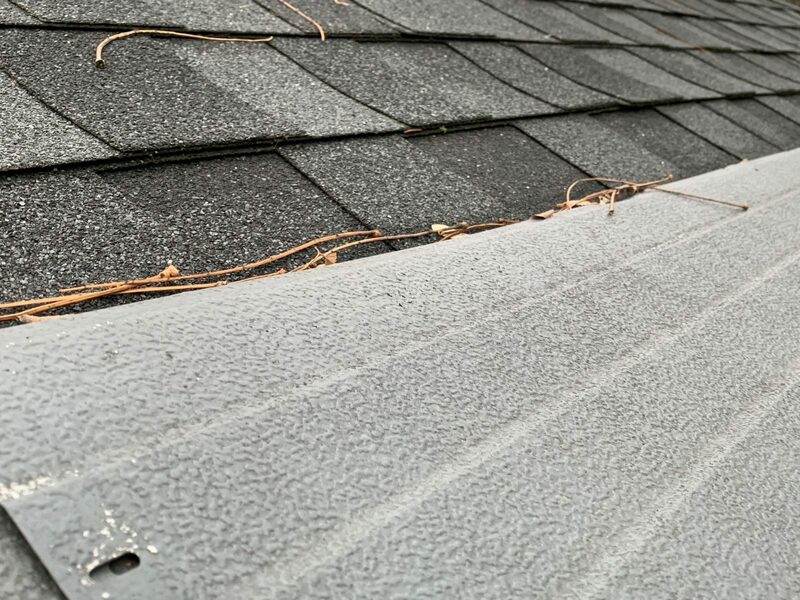 After all, if a contractor is selling a gutter guard that cannot install under the shingles, then their best tactic is to scare homeowners by telling them that installing gutter guards under their shingles will void their shingle warranty! We’ve never seen it. A voided warranty, that is. And logically, it doesn’t make sense. One of the key components of any roofing system is sticking metal under the shingles. Be it drip edging or rake edging or step flashing. Each of these components is designed to install under shingles. Each is designed to do one thing: prevent water from leaking into your house. Does it make any sense that sliding the edge of a gutter panel under a shingle is going to magically void your shingle warranty? Odds are you probably don’t know, and that’s okay. 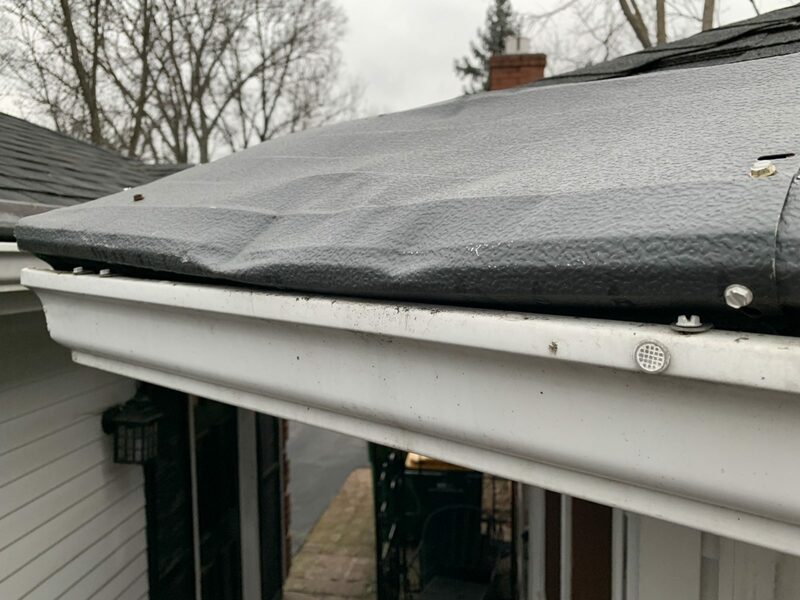 We received an inquiry from a homeowner in Kettering, Ohio, who was having an issue with her gutter guards. The wind blew off some of the gutter guards around her house, and she needed them fixed. The gutter guards were improperly installed. By the roofer. Not by the company that originally installed the gutter guards. By. The. Roofer. When the roofer replaced the shingles, they had to remove and reinstall the gutter guards. Unfortunately, they didn’t know what they were doing, and they ruined the gutter guards. What are the 2 issues in the photo above? First, the panels are sitting on top of the shingles rather than underneath them. Note how the leaves have wedged themselves under the panels. 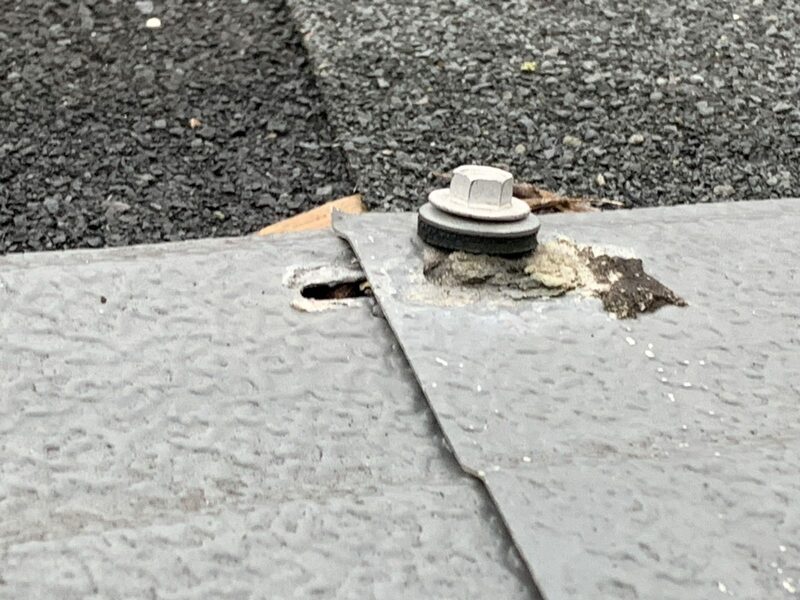 Second, screws were mechanically fastened through the gutter guard panels and roof shingles, into the wood decking, creating potential water leaks into the home. If you’ve been told that sliding gutter guards under roof shingles will void your shingle warranty, it’s untrue. It’s a marketing ploy — plain and simple. However, attaching gutter guard panels through the roof shingles with long screws will void your shingle warranty! It’s ironic that the roofer voided the warranty of the shingles he installed on this home. Or, we should say, it could void the warranty. You never know. 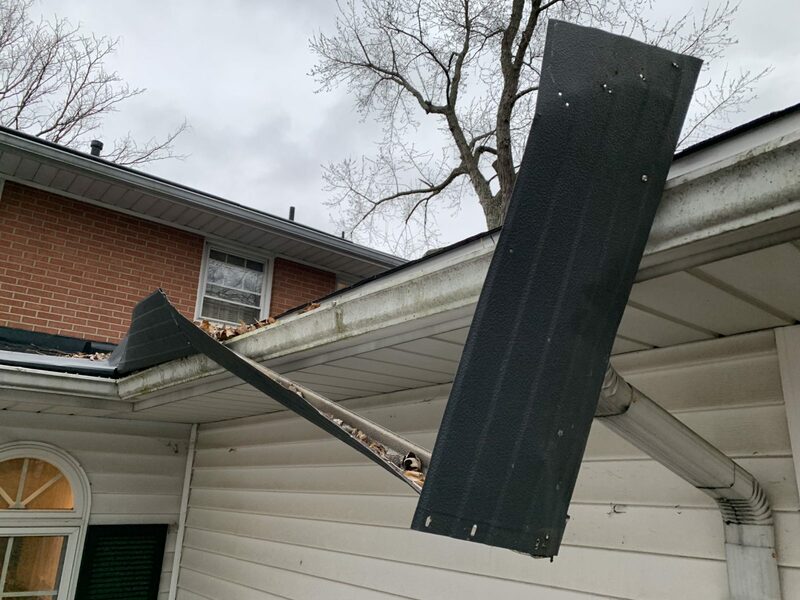 Whether you’re a homeowner, roofer or gutter guard installer, if you ever see a scenario like this, it’s important to fix the problem sooner rather than later. Needless to say, this is wrong and should never occur, but it will. Again and again. The good news is that we were able to unearth this gutter guard sin, document and photograph the evidence, and assist the homeowner with an insurance claim. The insurance carrier granted the homeowner’s claim. She will be getting all new gutter guards thanks to her realization that she had a problem. We added value to the process by taking the time to investigate the root cause of the issue. We walked her through the claim’s process and recommended a solution that will improve her home’s value and fix the problem. Satisfaction of us helping another client in need? If you’re asking why this happens. It just does. I’ve come to the conclusion that many contractors are professionally lazy or uneducated or uninformed. Perhaps all 3. I’m not being mean or disrespectful. It’s just the way it is. We see it everyday. Roughly 50% of our business stems from gutters that are undersized, installed improperly, and from ineffective gutter guards. Why does this carelessness and sloppiness occur? Lack of interest. Lack of knowledge. Lack of experience. Lack of care. Perhaps greed and the desire to make a quick buck without looking out for the homeowner’s best interests is the real driver behind this indifference. Successfully understanding the environment in which your home sits can be the difference between finding a great solution and a substandard solution. The cost difference between finding the correct solution and the wrong solution could be thousands of dollars, if not tens of thousands of dollars. Not just in product costs, but costs to your home and property if you don’t locate and employ the best solution. What’s the value of your time to deal with the issues and any headaches that stem from these problems? If your gutters are undersized, that’s a problem. 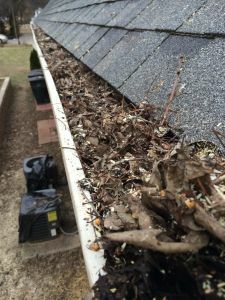 If your gutters are clogged, that’s a problem. If water cascades over your gutters and rots the fascia boards and soffit wood, that’s a problem. If water is running down your foundation wall, that’s a problem. 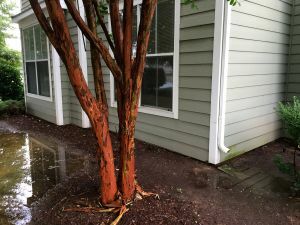 If water is splashing to the ground and ruining your plants and landscaping, that’s a problem. If your siding or brick is discolored, that’s a problem. If your basement floods, that’s a problem. All of these problems stem from the same issue, and finding the correct solution to fix this issue can often be a problem in itself. That’s why it is so important to find a contractor who has the experience to help you successfully identify the issues and solve the problems so they won’t happen again. This real life scenario is a great example of why hiring a contractor with verifiable knowledge and expertise is so important. With 23-years of experience, we have seen nearly every scenario there is with gutters, gutter guards, roofs and water issues. Not to toot our own horn; we get it because we have seen it. We have experienced it. And we have fixed it. Time and time again! Whether from neglect, storm damage or general wear and tear, working with a partner who has the expertise, knowledge and solutions to help fix these problems is critical. Call us at 1-800-750-2131 or click here to get a free consultation if you have a gutter or water problem you want to fix. 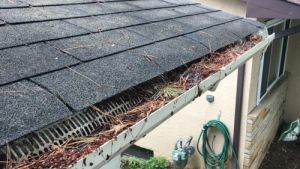 Now that you’ve learned how we helped this customer with her gutter and water problems, what problems are you having with your gutters that you would like fixed? Leave your comments below and we’ll reply.